Dèesse Magazine: Bronzed Goddess 101: CONTOURED, BRONZED and GLOWING everything you need to have the GLOW this Summer !!! 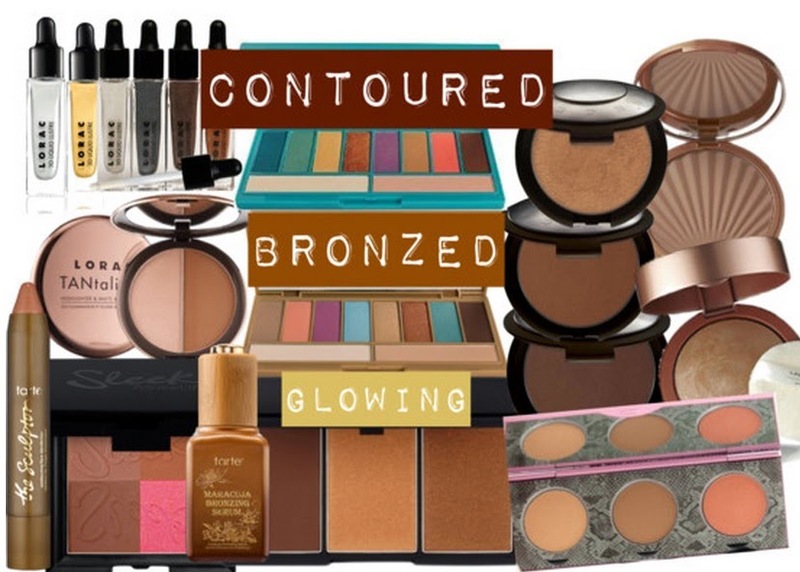 Bronzed Goddess 101: CONTOURED, BRONZED and GLOWING everything you need to have the GLOW this Summer !!! OMG .. where do I start ? First I'd like to confess that I honestly wear bronzer pretty much all year round. I am so looking forward to the rising temperatures ( potential trips) that will allow me to have a natural glow so that my glow will be taken to the NEXT level. Until then, I will be relying on a few cool products ( listed above) to give me that extra OOMF. What I will say is that there is amazing products in every price bracket from low $14.99 Sleek Face Form to high $49.50 Mally Shimmer, Shape and Glow. One key word of advice to Tarte Cosmetics ( I love the brand) , The Sculptor Contouring Face Slenderizer is amazing - but only if you are Fair to Medium, so me being a Deep tone this does not work for me. PLEASE make this in a darker shade! For us Darker gals, BECCA Perfect Skin Mineral Foundation in Cacao and Sienna will give you that Contour/ Bronze you want , and Sleek Face Form in Dark and Medium will work great too. A subtle hint of light around the eyes is key, and I love the 3D Liquid Lustre in Diamond and Gold will work wonders! I love the fun vibrant shades in both afterGlow and SummerGlow Eye Shadow Palettes these shades will really compliment a bronzed skin tone. I love the idea of adding a hint of bronzed highlight to other parts of the body since we will be showing a little bit more skin. Laura Geller Baked Body Frosting in Tahitian Glow will be a perfect addition to your routine. So with that said, go out there and get the GLOW !